Founded by Christopher Hobbs in 1969, the Experimental Music Catalogue provided, in a series of anthologies, the best in modern music of the 1960s and 1970s. Experimental Music Catalogue composers included Hobbs, John White, Howard Skempton, Michael Parsons, Cornelius Cardew, Hugh Shrapnel, Michael Nyman, Gavin Bryars and other members of the British Experimental movement and the Scratch Orchestra, as well as international composers. 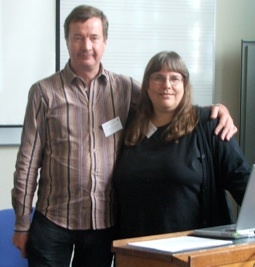 In the spirit of the original, the Experimental Music Catalogue has been revived by its founder on this website, which is maintained by Chris Hobbs and Virginia Anderson. For the past fifteen years, response to this site has been gratifying, as a new generation has taken to experimental music in all its forms; of classic text-based and graphic pieces, of indeterminate and systemic music, of music from traditional tonal and other-tonal sound worlds. You will find here pieces by Hobbs, White, Smith, Shrapnel, Parsons, Cardew, and other experimental composers and writers, and more are added as we can find them. We hope that you will enjoy looking though this site and, maybe, trying out some of our scores, books and recordings. And if you have some comments, questions, or suggestions, please drop us a line.